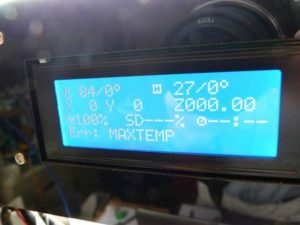 A little while ago a friend had a problem of the build platform heating up when printer first switched on. He asked why? 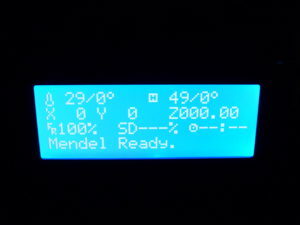 Make sure you are not seeing residual heat from the last print. Leave the printer on for a couple of minutes and watch for a temperature rise on the heated bed before going through this fault diagnosis. You switch on your printer and load up the model you want to print. You press the button to start your printer creating the latest masterpiece. You switch it off and back on – just in case, with a sinking feeling inside. And this time the message comes up straight away. What do you do, where do you turn to?